Nelson Construction & Development's mixed-use project that will fill the east side of Seventh Street north of Grand Avenue will operate under a new name and two addresses when it is taken up for consideration Tuesday by the Des Moines Urban Design Review Board. Alexander Grgurich, development analyst for Nelson, said the firm is bringing a boutique living experience to the city. The project is taking the place of a city-owned parking ramp that was razed earlier this year. In combination with a parking garage under construction on the opposite side of Seventh for Principal Financial Group Inc., the city hopes to bring new activity to the area. 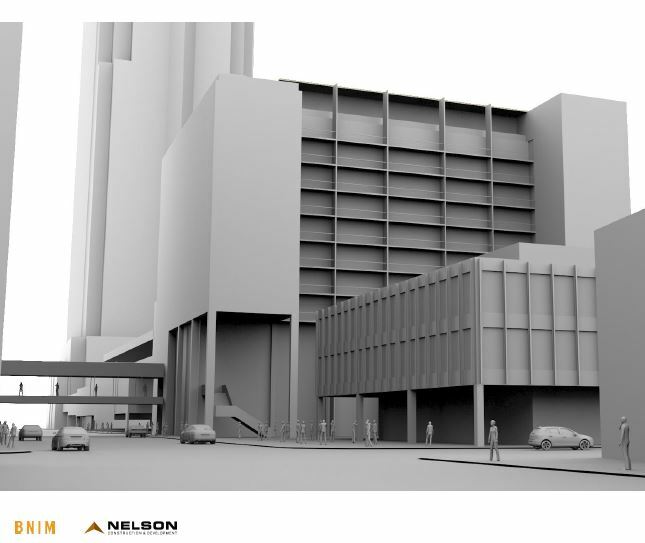 Miesblock will be the official name of the $66 million, 12-story residential and commercial structure that Nelson will present to the Urban Design Review Board Tuesday.